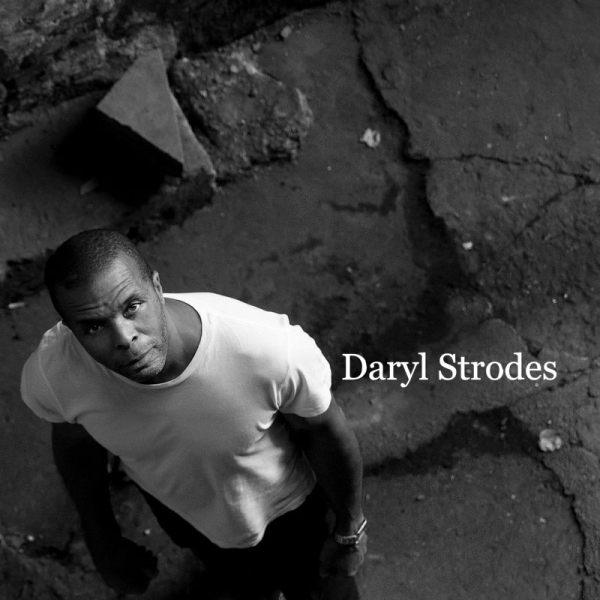 Rula Brown interviews Daryl Strodes from Warsaw, Poland on reggae4us.com out of England. Length: 17:12. November 11, 2010. 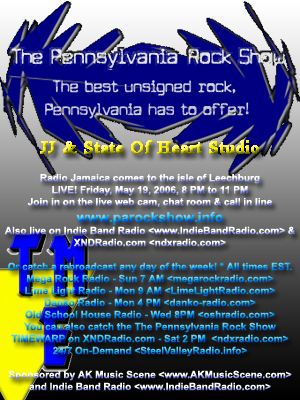 JJ live on the Pennsylvania Rock Show. Interview bits of JJ by host Bill. Includes 2 songs. Length: 19:43. May 19, 2006. 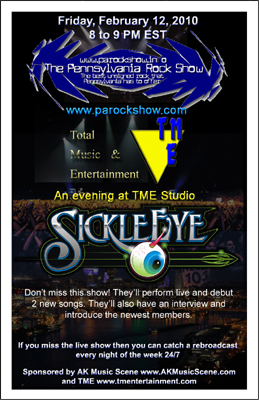 Tony Marinacci live on the Pennsylvania Rock Show. About 24 minutes of interview bits of Tony and the band by host Bill. Includes an unplugged performance of All The Answers. Length: 24:43. September 21, 2005. Nied's Hotel Band live on the Pennsylvania Rock Show. Interview bits of the band by host Bill. Includes an unplugged performance of 4 songs. Length: 18:57. May 11, 2005. Bill Domiano interviews Total Music & Entertainment's Tony Marinacci. They answers criticisim from a podcast of a former DJ. Bocan & Tom are assholes. Length: 21:10. August 31, 2007.